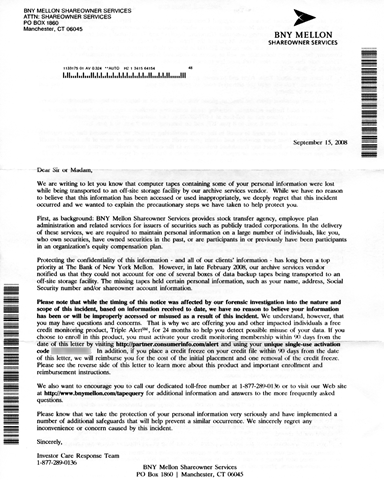 I just received a letter notifying me that tapes containing data with my information on it were "lost" by BNY Mellon’s archive services vendor. I figured I would make mention of this because it is somewhat technical. I would assume that they are using some sort of encryption routine to protect the data on the tapes. Chances are that these tapes were lost or misfiled. Who knows. The data is most likely unrecoverable but it just goes to show… Even the big boys make mistakes. 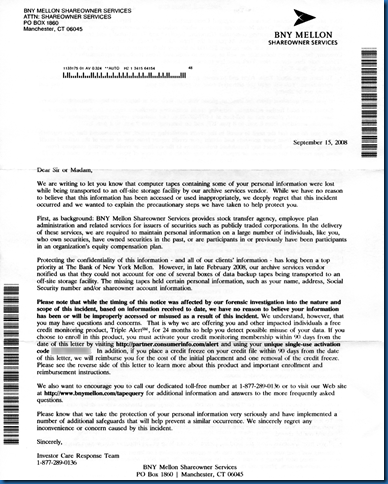 They do, however, graciously offer 90 days of service from a credit monitoring company. Thanks BNY Mellon! 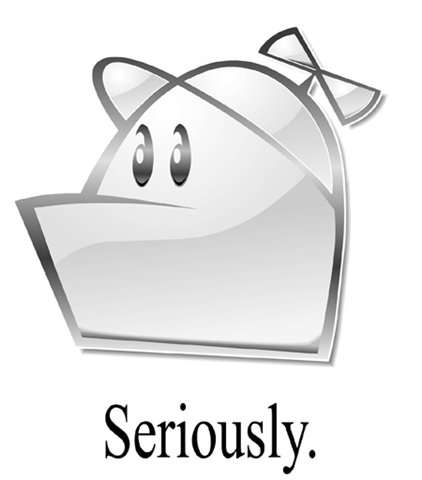 Here is something odd I found with Google Chrome. Middle click maps at the top and see the distorted map on the new tab. What causes this? Google how well did you review your code. I know it’s a beta … but I expect better from Google 🙂 It works fine when visiting the maps site directly or refreshing. 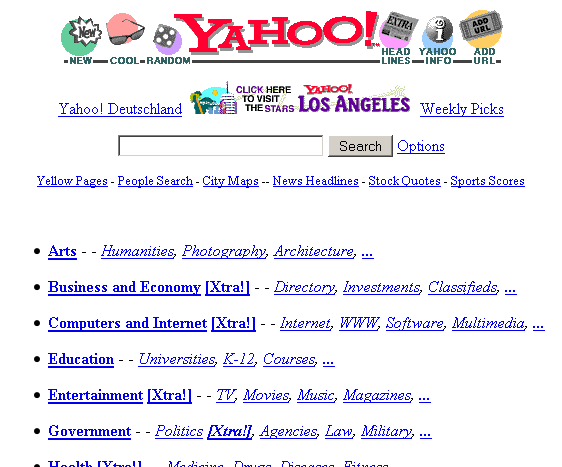 It’s very interesting to see what the web was like then and now. 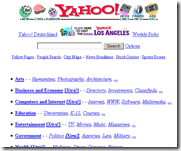 Big sites like FaceBook.com and others have been owned by other companies and have looked very different. 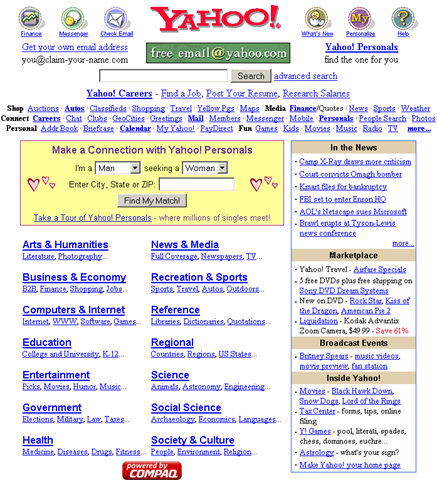 Yahoo went through many changes throughout the years. Google didn’t really change too much throughout its life thus far. This may be a reason people love Google so much, beside the obvious reasons of course. YouTube has definitely stood the test of time. 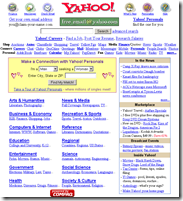 I wish I would have created a site as popular as this! Nothing too special here. Just them touting about how big a 4GB IPod is! It looks like live.com wasn’t always owned by Microsoft. Check these out! 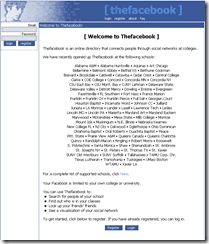 It looks like the domain “Facebook.com” was originally owned by a company who created “software to manage your world” in 2003. 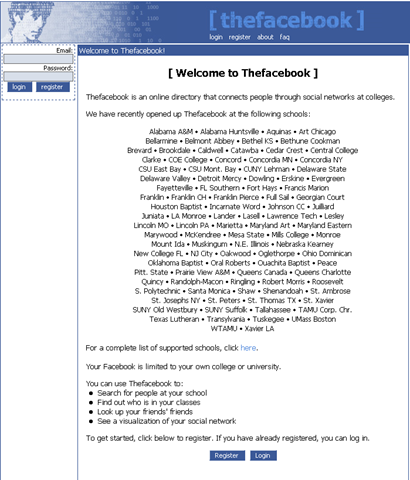 Facebook was originally called “TheFaceBook” back in the day. Facebook changes in to the site we all know and love.